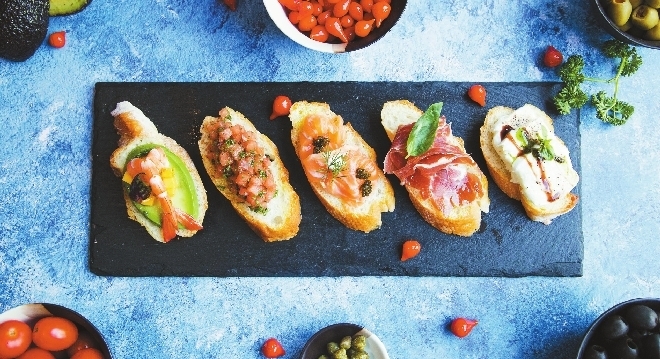 UNTIL the end of June, health-minded gourmets are invited to a weekend date with the Mediterranean feast at the five-star Kempinski Hotel Shenzhen. Every year, U.S. News and World Report ranks the best diets for the year ahead. For 2019, the Mediterranean diet took home the top award. High in fresh fruits and vegetables, low in red meat and sugar, this diet that allows you to indulge in a drink or two could help with weight loss, heart health, and diabetes prevention. Eating healthy isn’t dull at all. At the hotel’s Seasons Restaurant, you will taste Italian-style garlic bread, Greek salads, delicious roasted octopus, squid salad with fruits, traditional Lebanese tabbouleh salad and authentic Moroccan Harira soup. Meat fans can try their Turkey lamb rolls, roasted pies with lamb stuffing and Spanish lamb meatballs. There are also the refreshing grape leaf and lemon rice rolls. The restaurant then sweetens the pot with a free glass of choice wine for each guest at the Mediterranean dinner buffet.